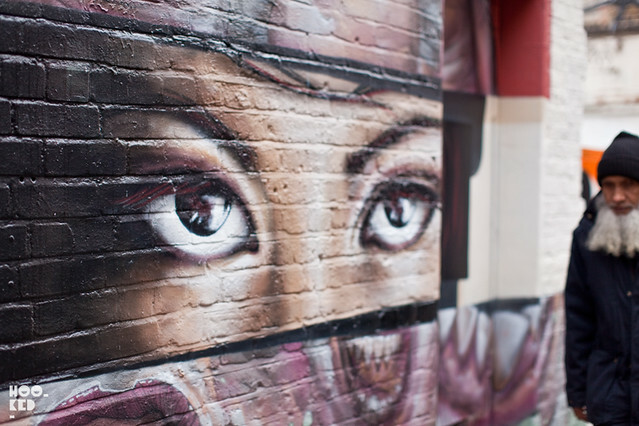 Last week saw us follow the progress of this new mural on Hanbury Street just off Brick Lane. 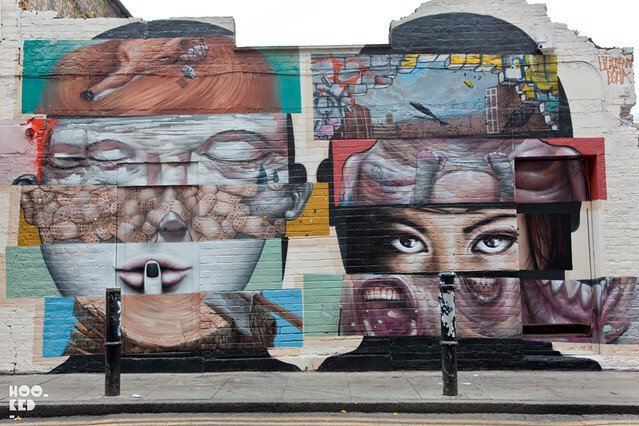 The popular East London spot has seen French artist Bom.K from the DMV crew and Liliwenn work on this impressive large scale piece over a number of days. The collaborative mural from the duo saw them intermixing a range of elaborate styles across the two pieces to give us this fresh and exciting wall. If you get the chance do check the finished wall in person. great artwork you have here and the photography catches it perfectly!